Fans of southern Rhône wines who are feeling sticker shock from current pricing for most Châteauneuf-du-Papes owe it to themselves to expand their buying net, and Vacqueyras is a great place to start. I would offer that same advice to wine lovers who have a rough time with the richness, power and high alcohol that characterize the majority of Châteauneufs. Vacqueyras is a cooler, higher-altitude sector of the region and its wines rely less heavily on Grenache; with greater emphasis on later-ripening, higher-acid Syrah and Mourvèdre, they present comparatively restrained, structured personalities. 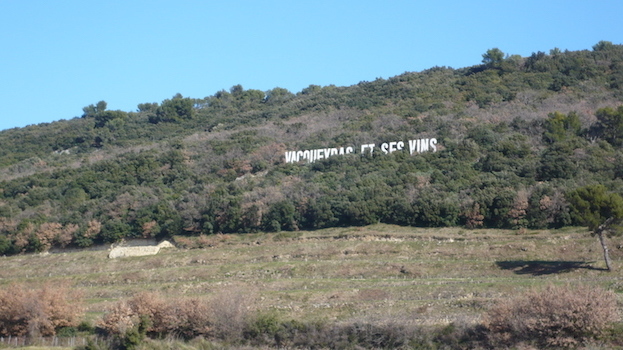 Because Vacqueyras wines are less dependent on Grenache, producers here did not suffer the same severe crop losses in 2014 and 2013 that their colleagues in Châteauneuf-du-Pape did. And so most producers didn’t need to adjust their house styles—at least not too much—to compensate for a paltry Grenache yield, which was the case at a number of Châteauneuf addresses, especially those whose blends lean most heavily on that early-ripening variety. 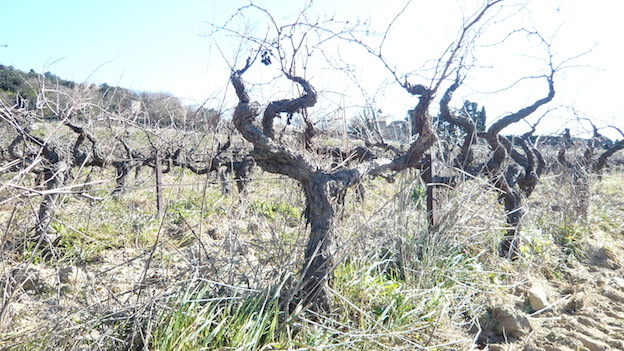 The year began with a wet, late winter but April witnessed the onset of warm and dry conditions, pushing the vines out of their winter hibernation. The weather turned much warmer during the last couple days of May, followed by a mostly hot, even very hot June that set growers’ hopes high for a season of ample yields and ripe grapes. But July and August proved tricky, with overcast and rainy conditions prevailing, and fruit maturity slowed down considerably. Temperatures only really warmed up in mid-September and the resulting crop yielded wines that are naturally on the high side acidity-wise, with an emphasis on perfume, fresh fruit and gentle tannic structure. Based on the bottled 2014s from the southern Rhône that I have had the chance to try, I believe that these wines will drink well on the young side: they should provide plenty of pleasure for the less patient wine drinker and, especially, for restaurants that tend to put wines on their lists quickly. As was the case across the region, a cold start to the 2013 growing season in Vacqueyras was followed by a warm, sometimes hot June, and the flowering commenced in the middle of the month. The flowering then took place very rapidly—even a bit too quickly—and the result was a high percentage of shot berries that needed to be culled out by growers. The summer continued warm and dry but the damage caused by the poor, late flowering had been done, resulting in—no surprise—a much shorter than normal yield. The harvest was late, commencing in the third week of September under clement conditions and with almost all of the varieties reaching maturity at the same time. The resulting wines mostly show good depth and structure thanks to the low overall yields and I don’t find them to be very far out of character for the region—in contrast to so many wines from Châteauneuf-du-Pape. I doubt that the wines will age on an especially long curve but they should provide a lot of upfront appeal. But then most wine lovers don’t buy Vacqueyras to squirrel away in the dark corners of their cellars.